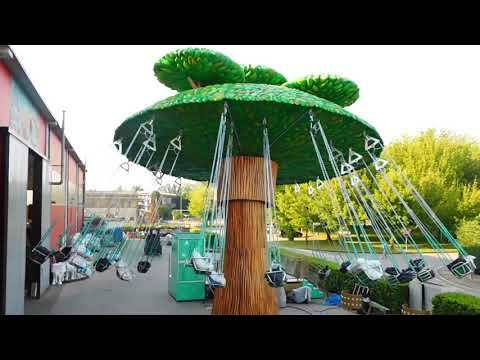 Swingers Attraction with 10 seats for adults and 20 seats for children. Structure in galvanized iron covered by painted fiberglass panels. Decoration at customer’s request. Model with telescopic column.